To contribute to the country’s growth by working with the life sciences industry. NIHR CLAHRC East of England began operating on 1st January 2014, growing out of its predecessor (CLAHRC for Cambridgeshire & Peterborough), it now extends the collaboration throughout the East of England, harnessing the strengths of the Universities of Cambridge, East Anglia, and Hertfordshire. NIHR CLAHRC East of England focuses its research efforts on the needs of people with complex problems, often vulnerable when multiple agencies are involved in their care: young people, frail older people, those with dementia, learning disabilities, acquired brain injuries or mental ill health. The CLAHRC collaboration encompasses some thirty-six organisations, with research hubs in the Universities of Cambridge, Hertfordshire and East Anglia working closely with individuals and organisations involved in the whole care pathway. Service users and carers are at the heart of what we do, in parallel with an ambitious public health programme. Co-production and collaboration at all stages of the research process are fundamental to making a positive impact through applied health research. 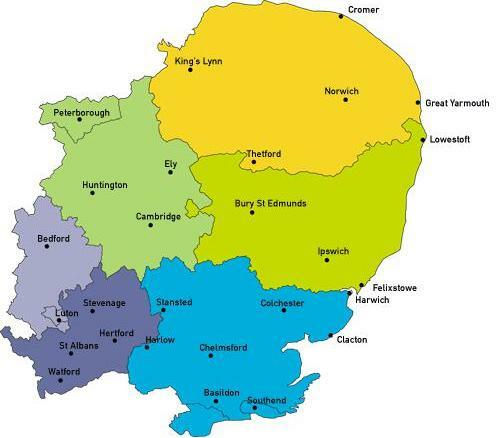 Our partner organisations, who have committed matched funding to our joint collaboration, include those planning, commissioning and delivering health and social care within the East of England, as well as industry partners. Through on-going prioritisation and peer-review, NIHR funds are used to support applied health researchers and fund high quality research projects. We aim to develop strong, region-wide grant applications to NIHR and other national funding bodies, and align our work with other NIHR investments in the region. This will ensure high quality research, maximising value for money, and will support our CLAHRC East of England legacy.